Ananya gets footage from the government hospital where a senior doctor was mobbed on the charges of sexual assault to his female student Neha Kapoor. 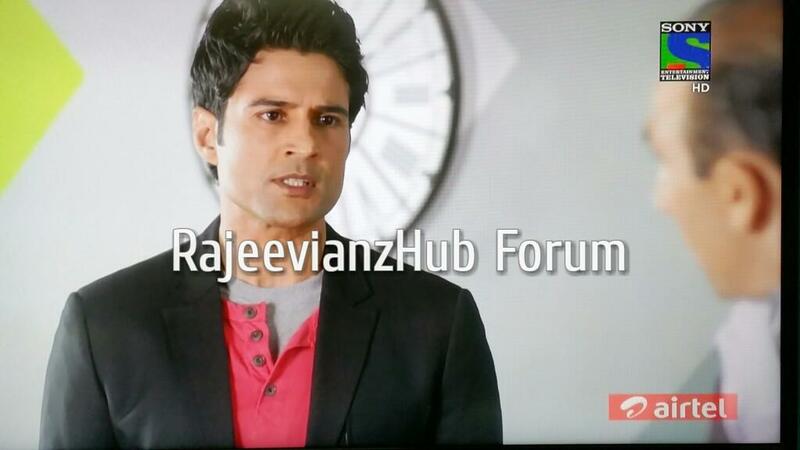 Kabir dismisses the news and tells Ananya to interview the charged doctor for his t=statement in which Ananya fails. Kabir goes to Meet his stringer Tarini where the celebrate the birthday of a little boy Anurag. KAbir has some cute moments with Anurag. Kabir in his show tells people not to believe in any news til the truth is confirmed and indirectly supports Dr. Sinha. The episode starts with KKN staff watching Kabir's show '8 ki bat Kabir ke sath" where Kabir defends Dr. Sinha telling people not to believe in the charges till they are confirmed. KKN staff disagrees with Kabir telling his decision wrong. Khalid tells Malvika to talk to Kabir and make him change his decision of supporting Dr. Sinha and treat this case as a piece of news keeping away personal relations and opinions. Malvika tries to talk to Kabir but Kabir is stern on his decision to which Malvika tells him she knows about his past just then Ananya comes to Kabir's cabin and Kabir feels she has come to tell him that his decision of supporting Dr.Sinha is wrong and so blasts at her. Manav, on the other hand calls up news 29's reporter and asks him about his planning for the news. There he gets to know that the channel is planning a pannel discussion where a famous social activist, Neela Joshi has been invited to talk about women rights. Manav meets her and gives her information about Kabir and Tarini's affair. Morning news comes as a surprise to every one as the panel discussion on the government hospital case turns out to be a discussion on Kabir Shama and his personal life revealing that Kabir is a divorcee and has an illicit relationship with his intern Tarini Pal . Malvika calls up Kabir to watch the news as every one was talking about him. Even the office staff starts judging him and talking about him which irritates Ananya. She confronts Manav and asks him if he is behind all this. To which Manav threatens her and tells her to be careful and not to become the next Tarini in Kabir's life. when Kabir reaches KKN, Neela Joshi was already there asking Khalid for a written apology from Kabir for disgracing the women of the country by supporting Dr. Sinha, she threatens him that she will start an andolan against KKN and will attack Kabir if the apology is not telecasted by 9pm, to which Kabir bluntly refuses saying that we live in a democracy and every one has the right to speak his views. Ananya hears all this and asks Kabir why is he not defending himself? Kabir tells her that when a person is accused of something everyone goes after him but no body goes after the person who has accused that person. Ananya tries to tell him about his dad but Kabir stops her saying he is not interested in listening about her father. Rony asks Anaya what happened with Kabir she tell him she has again been scolded by Kabir but this time it was more of concern. She decides to collect information about Neha Kapoor and so decided to go to the hospital for further investigation. Today' s episode topped in my favorite list mainly because of Kabir and Ananya. Kabir's strong will power and the ability to fight back is something that makes him a real leader and true human being. Today most of us would be disgusted on the behavior of the KKN staff. 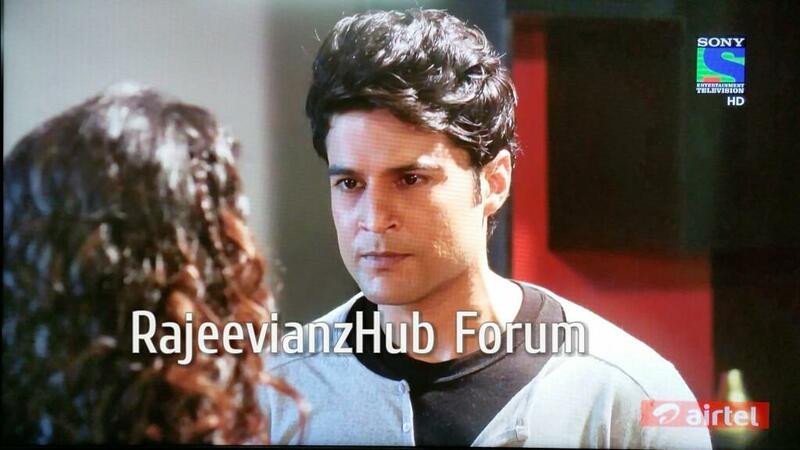 ALl Rajeevianz will be upset that how can any one think so low for our hero. But what I saw was a honest portrayal of our society. How many times we has seen such reports on some actor, politician or any public figure? the moment we see this we say ' ye sare bade log aise hi hote hai. Inka koi character nahi hota.' We never take a single minute before passing a comment or believing on the news shown by the channels. But do we have the right to do this? Do we have the right to judge anyone based on a single incident? The attitude with which Kabir walks out of that cabin was the scene of the episode for me. He is all set to risk his job to prove his words and love that quality of Kabir. Kabir was so right on his part. Everybody has the right to express their opinion and according to me he was not at all being judgemental about that doctor's case neither he had said something that was influential. I so hate Manav but as you mentioned the staff of KKN was a big let down this time. The same people who kept drooling and admiring Kabir for his work and applauded him when he exposed those breaking news and took the channel ratings to such peak were the same ones behaving in such an awkward manner. Trisha, Richa were actually staring at Kabir as if he was some sort of criminal. Ananya was awesome as she continues to trust Kabir without being judgemental about him. Poor girl didn't even say anything still Kabir exploded on her and she had nothing to say. The precap was so so exciting. Kabir is already up there in this doctor's attire looking superb! Ananya and Kabir will be up with something big. Excitedly waiting for the next episode. loved that episode. Kabir is simply rockng in it. 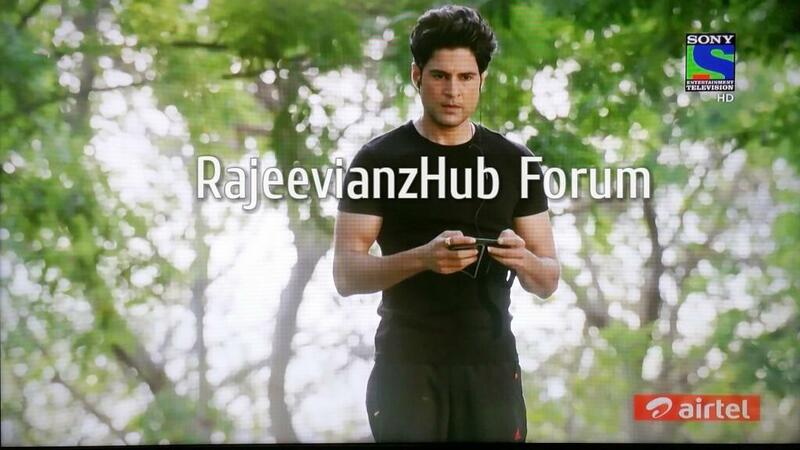 Love you Rajeev for such a rocking performance..
pls post some more picutures here also.. So hoping to see Manav being shown doors when the truth is out. Neela Joshi who works for female justice is doing nothing but merely working for herself. What has she to do with Kabir and his personal life? That debate was suppose to be about Dr. Sinha's scandal but here this lady is hogging all the light talking all crap things about a known Editor-in-Chief of a now popular channel. Kabir being the true news maker he is really man of his words and without thinking twice he is ready to give up job than to bow to their illogical demands. Way to go Mr Editor-in-Chief! Interesting episode. I agree with Kabir that every one has the right to express himself and no one can object to this. Love the way Ananya stood with Kabit she potrys the perfects image of a strong and sensible woman who has the guts to say and stand by he beliefs. Waiting to see Kabir in action . One stupid man can ruine every one, the stuid man here is Manav. He is one selfish, mean and bacstabber. This man can put his nose in almost anything and everything. What more disgusting was the attitude of the KKN staff, especially Trisha. A day before she was roaming around Kabir going ga ga on him but now she is going all over speakig so low about the same person. I seriously hate her. The whole staff is behaving as if he is some sort of criminal who has come there to kill them. This episde has made me love Ananya, she is the only person who knows how to stand by her beliefs. Love the way she is taking Kabir's stand and is defendig him all over. She is potraying the perfect example of a strong headed sensible woman who knows how to differentiate between right and wrong. I am waiting to see their faces when the truth comes out. Dhamakedar Episode!! Love Kabir's answer to the women's right female. She deserved it for acting oversmart.